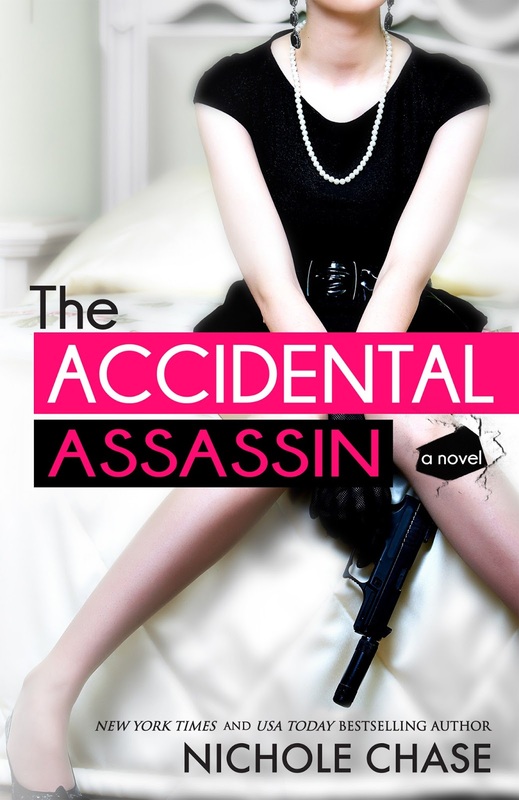 Take a look at this Cover for The Accidental Assassin by Nicole Chase! Ava McKenzie is a creature of habit. Life is passing her by and she has nothing to show for it. She’s had the same job since she started college, she orders the same dish every time she goes to her favorite restaurant, and she only reads books from authors she knows. There is nothing new or surprising in her life… until her best friend marries a man from London. When her newlywed friend asks her to house-sit in England while she honeymoons, Ava jumps at the chance. This could be the very thing she needs to shake up her life. Ava throws herself headfirst into her new lifestyle; she wants to try everything, go everywhere, and never get stuck in a rut again. Of course, offing a man in a car garage hadn’t been one of the things on her list to try. Owen Walker spends every day in a new place with a new mission. As one of the most renowned assassins in the world, he has his choice of marks—and he’s never failed to complete a task. When a new hit takes him back to his hometown, he looks forward to spending time somewhere familiar. What he isn’t expecting is to help an attractive, confused American woman find out how she’s ended up on a hit man’s list. As Ava and Owen dodge bullets, will they be able to escape their undeniable attraction to each other? Or will all that chemistry blow up in a shower of hot and dangerous sparks? Nicole's got some big news she wants to share! For those of you that have been following me for the last two months, you know that life has gotten a bit crazy. Crazy good! And I have even more good news. I’ve accepted a three book publishing deal with Avon Publishing of HarperCollins. With their help we will be bringing Suddenly Royal, The Royal Agenda, and the untitled third book to stores and bookstores near you! I’m very excited about working with Tessa Woodward and the people of Avon. I can’t wait to see what we do together. What does this mean for the readers? Well, it means more accessible books! You’ll be able to find Suddenly Royal in bookstores, Walmart, and Target in just a few months! AND! And! There will be some added content to the new paperback. Don’t worry—it’s nothing that changes the story, so you won’t be missing anything important—but it does give you a little more Sam and Alex (and I know how much you guys love Alex). We’re also working to have fast turn-around on the next two books so you guys don’t have super long wait times. I will be letting you know those dates as soon as I can. I’m very excited and am so grateful that everyone loves Sam and Alex as much as I do. Thank you to everyone that has made this possible. It’s a dream come true. Nichole Chase is a daydreamer. No, really, just ask any of the math teachers that had the misfortune of seeing her name appear on their class schedule. For years she has had story lines and characters begging for attention, but she resolutely pushed them aside to focus on more normal (read, boring) jobs. Well, no longer! She is currently heeding the voices in her head and frantically writing their stories. 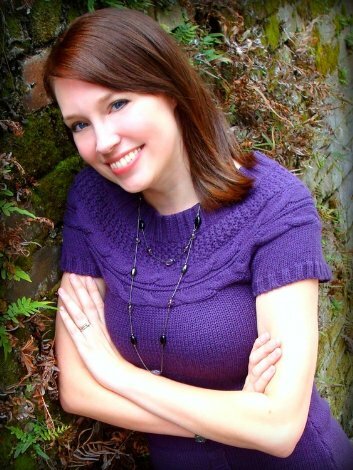 Ms. Chase is the author of the Dark Betrayal Trilogy, Flukes, and Suddenly Royal (including several short stories). Nichole resides in South Georgia with her husband, energetic daughter, dog, tortoise, and two cats. When not devouring novels by the dozens, you may find her writing, painting, crafting, or chasing her daughter around the house while making monster noises. Congratulations on your book deal! I shop at Target for my books, so glad I will be able to get your books there!